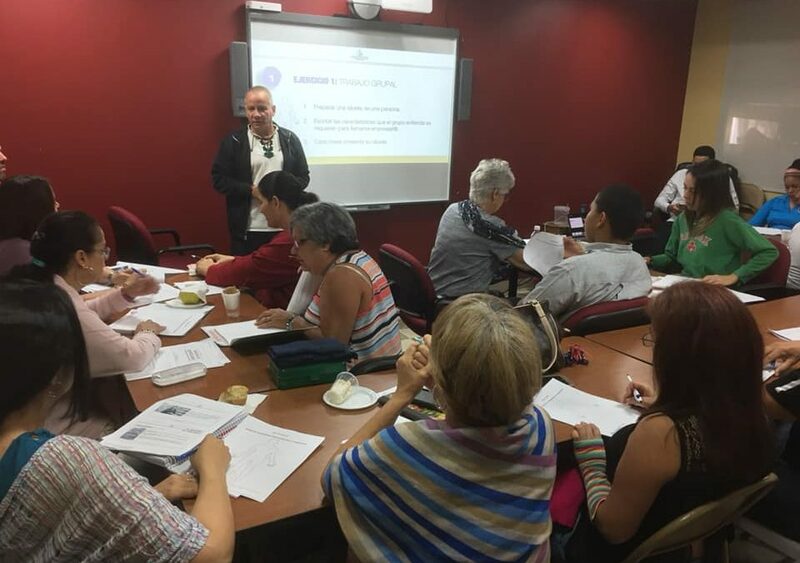 Cáritas of Puerto Rico has begun the course in Microenterprise Incubation in collaboration with the Alliance for the Incubation of Microenterprise Community Solidarity (AIMECS) and the Surcos Project of Sor Isolina Ferrer Center. Thirty participants from Cáritas will receive the complete cycle of this course for one year. We hope that with this course the participants will find all the tools necessary for their personal, spiritual, psychological, technical and structural needs so that upon completion of the course, they may be able to inaugurate their own Microenterprise and continue into a successful future. We give thanks to The Lord for the blessings bestowed upon us in order to continue providing these initiatives of Human Personal Development and dignified human promotion for the Puerto Rican families.